Home > Web Design & Development > Are Divi Themes Bad for SEO? We’re seeing a surge in new installations of WordPress websites using divi themes, a framework that “simplifies” the development process. Many clients aren’t aware of the lasting implications for their business. Love it or hate, let’s look at what divis do, the benefits, the drawbacks, and what it means for SEO. Then you can decide. October 2016 Update: Since this article was published in August, Google announced they will be splitting their search index. In the next several months, Google will launch a separate mobile index… and it will become the primary Google search index. The desktop index will not be kept as up-to-date as the mobile one. This is a significant SEO shift. Google has been pushing “mobile” for years. With the index change, having a mobile-responsive website isn’t enough. Brands that cater to how information is displayed on mobile devices will gain the advantage. One component of that advantage is download speed. Sites built with Divis or Visual Composers are sluggish due to the extra shortcode it adds. If you needed another reason not to choose a Divi theme or switch off of one, now you have one. Divi themes, also known as divi builders and visual composers, offer a “drag and drop” way of building and designing a website. Rather than writing code, designers use shortcuts or modules to create components like buttons, sliders, contact forms, sidebars and more. Of late divi themes are gaining popularity in some sectors of the WordPress community due to its flexibility without fiddling with code. It’s a little like decorating your home with Ikea furniture; you pick the pieces that make the most sense for your living space and piece it all together (allen wrench tool included ;). Similarly, divi theme authors create templates that appeal to different types of businesses. Two years ago you didn’t have a huge selection of divi theme choices. More and more visual composer themes are now available with Elegant Themes and ThemeForest. However, there’s a bit of controversy amongst WordPressers. The debate is heating up. Some love it… some hate it with a purple passion. Let’s explore why. So what’s the impact? Site speed. 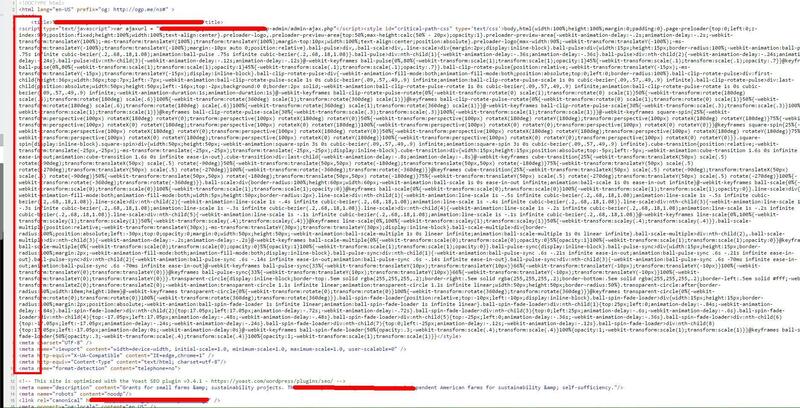 All that extra code (called shortcode) loads via a visitor’s browser in order for a site to be viewed. As search engine bots crawl the site, they too sift through the extra code to decipher things like title tags, meta description, content, images, etc. There are two primary reasons why divi themes are so popular. First, it’s easier and faster for some designers to create a beautiful website without knowing how to code. It takes less time to use drag and drop elements compared to coding a website from scratch or developing a child theme using a theme framework (like Genesis or Woo). With divis, designers can arrange pre-made modules to launch an attractive website in less time. For the coding-challenged, divi themes offer a point-and-click solution to achieve more advanced design features and site functions. Out of the box, divi themes contain everything but the kitchen sink. As a result, the functionality menu is varied and robust. The second advantage is design consistency. If your website has multiple contributors — especially those new to WordPress or website content management systems (CMS) in general — divi themes allow you to create templates. For novice WordPress users, creating a new page or post is as “easy” as filling out the template boxes (stay tuned for more on the “ease of use” a bit later in this article). For marketing managers who tightly control their brand and have a large organization contributing to a website, divi themes avoid inconsistent formatting on pages. Even with stringent style guides, formatting of headlines, graphics, and text blocks, a page’s appearance can vary especially if a user is not familiar with the WordPress interface. A divi’s page template theoretically avoids those problems. From a holistic point of view, if the site is well constructed, visitors interact with a consistent user experience (UX) across the website. As a result, brands maintain their corporate image and visitors are strategically guided to take the next step (conversion). It’s really not that easy. Recently a prospective client approached us literally weeks after launching a new divi-themed website. While they like the site’s appearance, she’s frustrated with the process of adding content. After 4 hours of struggling with adding a single page, she now wants to know what it would take to ditch the theme and start over. What a waste. The bloated code negatively impacts SEO. Using a framework like Genesis or other professionally-coded themes, your website is built upon W3 web standards. The better themes also use HTML5. However, not all theme (including divi) authors are as diligent about their code. We favor the Genesis theme framework because the code is streamlined and the dashboard is well organized. Since the code is designed to be responsive and fast, it doesn’t unnecessarily bog down site speed. Remember my buffet analogy? Divi themes let you can pick and choose from a wide variety of dishes (features and functions). Here’s the problem. The dishes you don’t want also end up on your dining table. Even inactive divi code bloats your site’s code and slows page speed, even with caching. Download speed is an important SEO factor and it’s 100% in your control. It’s so important that Google has a free testing tool to analyze a site’s performance. Compatibility problems with some WordPress plugins. Remember the page or post templates? They’re built using modules. Content is buried within those modules, making it difficult for popular plugins like Yoast SEO to analyze. If you decide to construct your website with a visual composer, make sure your developer understands which plugins work and where more configuration is needed (or even feasible). Not all plugin developers are coding for divi compatibility. It’s difficult to migrate to another WordPress theme. One of the things we love about WordPress is its flexibility. Imagine that WordPress — the core upon the website is built — is a mannequin. Themes are the dresses or suits you put on a mannequin. Tired of that 70’s leisure suit? No problem, just change the theme. With a divi theme, that transition isn’t so easy. Chris Lema, frequent WordCamp speaker and WordPress coach, explains the coding issue beautifully in his Divi Theme Forever article. To switch out that baby-blue, wide-collared polyester leisure suit into something more contemporary requires a lot of effort (read: expensive). That’s why we caution clients to stay away from themes using a modular framework. You may love it now; will you love it in 5 years? Converting a small website is one thing; converting thousands of pages is another. All your content, nestled amongst short code, must be extracted in order to migrate it to another theme. Is there another non-divi theme that you like as much? With literally thousands of themes, there’s a very good chance you’ll find an alternative that fits your brand and website needs. We suggest using a well-respected theme framework (like Genesis) that has a proven track record of support and clean code. Can I use a style guide or centralize access to ensure website consistency? Rather than relying on a theme’s template to control consistency, there are other ways to achieve the same results. We think that locking your content within modules is a short-term solution with long-term problems. Are you willing to pay the price to convert once you’re tired of the theme? Most website designs are refreshed every two to three years mainly due to technological advances. For example, mobile responsiveness wasn’t a requirement back in 2013. Now Google is penalizing websites that don’t cater to smaller screens. If you have a small website with limited content, then the cost/effort may be affordable. Then it begs the question… why do you need a divi structure in the first place? So what side of the visual composer fence are you on? Considering a WordPress website refresh? Do you know how to retain your SEO equity before migrating? I couldn’t agree with you more, Cathy. Divis and page builders are SEO killers. Hope that this “fad” goes away soon! What you have not mentioned in your article above is the clients who want to update or manage their own website after they are launched. The bulk of my clients are these type and expecting them to learn how to deal with “code” is not going to work. Been doing this for 20 years and I have been there and done that when it comes to teaching clients to use shortcodes and html language. The visual builders are there for the clients. Yes it is harder to build a site with a visual builder, however it is easy for clients to make changes to their own site and that is also important to google. I also used my theme framework to fast-track my development and learning curve when it comes to going responsive. My theme framework also keeps up with all the changes that WordPress likes to make to their code and how they do things. So I don’t have to go back through 50 different sites to apply the fix to work with the new coding whenever wordpress has an update. I simply update my theme. My theme framework developer has a whole set of skills and knowledge that I don’t have to have. Yes I am stuck in the same box, but a website can last easily for 3 years before needing a major style change and by then the client wants or needs something different anyway. Don’t pretend for a second with all the wordpress updates and CSS new styles and browser changes that any wordpress site that has been handcoded or is not theme-based will not require backend coding changes to keep it running because it certainly will. I think your decorating analogy is best. A web designer does not have to build the house from scratch and most clients won’t pay for that. They will pay for a decorated house, designed with skill and marketing expertise to ensure that the client website makes a great first impression and successfully sells their products or services. Also DIVI is not the correct term for this type of builder framework, DIVI is actually the official name of a visual builder based theme framework developed and sold by Elegant Themes. Divi itself is not a type of anything. It is a theme. The new Divi Builder is a plugin. Visual Composer is a very popular plugin that is added to most of the themes in themeforest to add the visual builder functionality. The term you should be using is Visual Builder or Drag and Drop design system. Not divi. Now if you are concerned about “code bloat” and speed then I would rethink using Yoast SEO plugin, this plugin adds significant code to a site and slows it down quite a bit, both on the front end visitor side and the backend administration side. I don’t use Yoast unless I have to. IF you are into building plain vanilla, looks like everyone else websites, than by all means continue to hand code and use “pure themes” but most of my clients want to look different than the rest, they want things to move and interact with a visitor, each interaction or animation requires underlying code which the builder provides automatically. I can’t expect my client to learn how to code these things by hand. Builders add extra options and features that plain hard coded websites cannot compete with. They add flexibility and the ability to change things without having to go back to the original designer. I have been doing this for 20 years, the goal posts always change, the technology moves faster than I can keep up, now when I have to update my static old fashioned html websites I can barely remember how to do it and it is way more manual labor intensive. I like visual builders so I can focus on the marketing and selling aspect rather than having to keep up with constantly changing code. Agree, speed is definitely an issue to consider building a site, but our SEO projects, especially local biz seo clients, are doing just fine utilizing DIVI… as speed is only a ‘small portion’ of Google’s plethora of algorithms. And besides, there are numerous plugins that are now available for this platform that provide script compression and a work around for speed. Further, designing your site from the beginning with many element considerations is a foregone conclusion. Speak what you may about DIVI… all of our clients sites are built with this platform and we’re doing just fine with our SEO. Glad you’ve found a way to get good site speed with Divi. Yes, caching helps. Even so, we can’t recommend visual composer/page builders as to the other inherent problems. I wonder if there is any difference i a SEO perspective between using Divi Theme or just the Divi Builder. I’m a new WordPress user, started using Divi, but i’m reading a big SEO book and now i’m a bit worried. The website i made so far seems very cool, but i’m not gonna use woocommerce and other stuff Divi comes with. I’m still not able to build a WordPress website from scratch, i was just wondering if transferring my theme site to a blank theme and then use only Divi builder could improve speed and quality of my website. Any tip would be really apreciated. Thanks for the great article! The good news is that you don’t have to build a WordPress site from scratch. We suggest you find a theme that best matches your vision and functionality and then modify to fit your needs. We’re partial to StudioPress’ Genesis themes (http://my.studiopress.com/themes/) as the code is clean and fast. Welcome to WordPress, Nethan! The “example code” you claim is from Divi 3.0 seems to actually be from the Jupiter theme on ThemeForest, not Divi. We used the term “Divi” referring to a popular visual composer theme created by Elegant Themes. It has name recognition in WordPress circles, kind of like “Kleenex.” When we referenced “Divi,” we used the term to be synonymous with visual composers, page builders and drag/drop design systems in general. As a web developer with 18 years of experience, I can relate to some of the earlier commenters regarding how a theme framework such as Divi seems to offer a significant time-saving. It’s also easy to argue for the idea that clients don’t care about the code and they just want things to work. I had considered resorting to a visual builder from time to time when I took on clients who demanded a tight deadline. I found, though, that those were poor excuses for not building a website with carefully crafted code when it comes to building one as a professional web developer. Your clients might not care and know about how semantic their site’s code performs for SEO in a short run, but that does not mean that you should just cut every corner you can find. It’s like saying that a house builder should build a house by slapping together a bunch of junk materials so long as it looks great on the surface and it livable for the first few months until the builder is off the hook. It bothers me to no end that relatively few people seem to insist on craftsmanship and product quality nowadays. It tends to be all about how you could cut corners, and how sad to hear that from those claiming to be a professional developer. If you are not a developer but just someone who wants his/her business website to rank higher, you should at least pick a theme known to be coded relatively well (Genesis Framework is one example) and learn at least the bare minimum basics of how website and SEO works. HTML and CSS, while seemingly intimidating at first, are NOT that difficult to grasp. It’s just a set of markup rules, and there is no way around it if you care about SEO and want to take control of your SEO practice. Besides, Divi Theme and other so-called visual builders are NOT that easy to master. The biggest irony is that you can’t use visual builders properly unless you know how CSS box model works, how to utilize CSS classes and ID’s, how meta descriptions work, and so on. Giving a Divi-driven site to a client who has no clue about these things and telling him/her that he/she could edit the site any manner he/she wants is like giving a rope to hang themselves. He/she will surely break the site, will not know how to fix things and eventually come to a painful realization that he/she could not be effective with it unless he/she learns the conceptual basics of how a website is put together with CSS. In fact, it has happened with some of my clients in the past. I once gave in and used a visual builder for their WordPress sites. They all had the hardest time using it, they didn’t want to learn how to use it, either, and I ended up rebuilding their sites without any builder plug-in and theme framework. I utilized custom post types and taxonomy at the code level, just as the WordPress Codex instructed. The resulted websites were a lot better, a lot cleaner and lighter. And the clients were able to use their sites a lot more. Another problem is that visual builders lead people to believe that website is about appearance and not about contents. I see them as a major distraction in the development process because they tend to direct client’s attention away from the things truly matter in SEO. Anyhow, I hope that more people will consider this insightful article root for SEO craftsmanship. Great analogy between building a home and building a website. Prefab and junk materials will never look “custom.” Glad to hear you’re a fan of Genesis too. Nothing beats clean code and a site that focuses on the user experience: content, navigation, responsiveness on all devices. I’ve built about 200 WordPress sites at the time of writing and personally I am a big Genesis/Dynamik fan. The reason is not necessarily site speed: as has been pointed out, there are numerous plugins or other solutions out there which significantly improve site speed whether a page builder is being used or not. Additionally, as has also been pointed out, site speed is a comparatively small aspect of the main search engines’ respective algorithms at this point in time. However, future-proofing websites is critical to me. Reliable, trusted underlying code which works with the majority of third party WordPress plugins is also important. Web design moves at ever increasing speed and the flexibility to update a site’s look and feel, without issues with other plugins, is likely to be increasingly important. Not being able to switch out from Divi to a non-Divi theme/platform without essentially rebuilding most/all of the site is therefore the reason I’m out. Thanks for another wonderful post. Where else may anyone get that type of information in such a perfect approach of writing? Is this post still applicable for Divi 3.0? Yes. This post was written after Divi 3.0 was released. Our company had moved dozens of WP sites from custom themes to Divi. This was a huge mistake. The SEO and performance of all the sites crashed. It took us 5X as long to move them out of Divi. We have them on Genesis now and the SEO is coming back. Never using the Divi page builder and theme again. In my 20+ years of website technologies, this was my worst experience.